When the Buddha attained enlightenment, he realized that all sentient beings have the potential for complete awakening. This is the Good News of Buddhism, we all possess Buddha Nature, every last one of us. We do not realize this because our true nature is obscured by ignorance and the karma of past actions. Through the teachings of the Buddha we can recognize and manifest our true nature, and then truly be of benefit to oneself and others. In this talk Drupon-la will share the importance of this profound teaching, and how one can realize and have certainty that we all possess this seed of enlightenment within us. The Yangzab Vajravarahi is the heart essence Dakini practice of the Yangzab Dzogchen treasure cycle revealed by Gyalwag Rinchen Phuntsog in 1538 in the Assembly Hall of the Dakinis---a cave high above Terdrom, Tibet. It was in this cave that Guru Rinpoche and Yeshe Tsogyal spent seven years in retreat---longer than any other place they did retreat in Tibet. 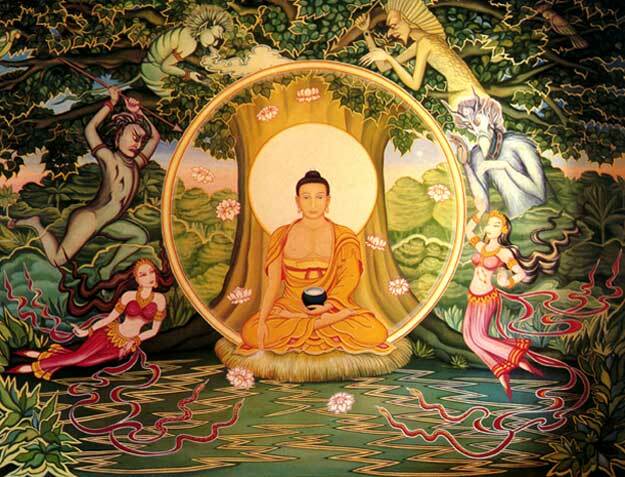 This is where the Khandro Nyingtig, or the Heart Essence of the Dakinis, was revealed. The Yangzab is very closely related to the Khandro Nyingtig. In many ways the Yangzab is a more concise way of practicing the Khandro Nyingtig. Yangzab Vajravarahi is the living heartbeat of the Dakinis---its blessings are swift, and it is one of the key empowerments and practices of the Yangzab treasure cycle. This practice is the gateway for practicing the Six Yogas of the Yangzab. It can be practiced according to Mahayoga, Anuyoga or Atiyoga. It can be practiced in an extensive or concise essence way. The root terma text for the Yangzab Vajravarahi is one of the most exquisite, poetic, and profound practices of the entire Yangzab cycle. Just reading the text it is self-evident it comes straight from the Dakinis. There are also Yangzab Vajravarahi practices composed by the great Tertòn Lho Nüden Dorje that will be available in addition to the root Yangzab Six Yogas text. Thus practitioners will have all they need to practice this on multiple levels based on their capacity. Drupon Thinley received this empowerment from HE Garchen Rinpoche in 2001 during the Snake Year teachings, and has given it many times now at the DDCV. We are giving this again to help ensure the survival of this key practice of the Yangzab. This practice is very much alive, and its lineage is unbroken, having been held continuously at HE Garchen Rinpoche's monastery in Tibet, as well as the monastery of Lho Ontul Rinpoche and Lho Bongtrul Rinpoche. It has also been held and accomplished by great Dakinis in the Drikung nunneries in Tibet and India. This is a rare opportunity to come face to face with the full blessings and power of the Dakinis. It is impossible in one day to teach this practice, but it has been taught on in the past and we will try to have those recordings available. The empowerment will happen in the morning, and in the afternoon we will do the practice together with Drupon-la. Regardless, this empowerment will plant a seed for the future accomplishment of Yangzab Vajravarahi for those who have the karmic connection. For others it will simply be a great blessing that will enhance whatever practice they engage in. At the conclusion of our afternoon Yangzab Vajravarahi practice session, Drupon-la will give the transmission for the Achi Dharma Tara Pure Vision teaching as well as tell stories of the miraculous ways Achi has manifested to benefit Dharma practitioners. One example of this was when HH Chetsang Rinpoche was escaping Tibet and Achi manifested, helping lead him over the high mountain passes. There are many such stories of Achi's direct blessings that are miraculous and true. This transmission is being given for those who could not attend the Achi Dharma Tara retreat in June but wish to engage in the practice (which we plan to do monthly on Dakini day if possible). It is also being given for those outside of our local sangha because it truly is an extraordinary practice revealed during the cultural revolution for these times. Drupon-la received this from HE Tritsab Rinpoche whose previous incarnation revealed this practice cycle. Last edited by Palzang Jangchub on Sun Jul 08, 2018 8:59 pm, edited 2 times in total. The practice of calm abiding is really the foundation for all Dharma practice. Through stilling the mind our afflictions are pacified and insight and wisdom dawns. In the Drikung tradition and others the practice of calm abiding is used to introduce one to Mahamudra. Too often in Tibetan Buddhism the practice of Calm Abiding is neglected. Lord Jigten Sumgon, founder of the Drikung lineage emphasized in the Gong Chik that the preliminary practices are the most profound of all the practices. They are most profound because without these practices one cannot successfully engage in "higher" practices. Without being able to single pointedly focus the mind there is no foundation, one's practice is like a house built on sand, it just crumbles. The great Vidyadhara Trungpa Rinpoche relentlessly taught his students calm abiding practice, made his students engage endlessly in this practice before he gave any "higher" practices. And continued to emphasize this practice at all levels of practice. Through the practice of Calm Abiding one can truly attain inner peace. Through Calm Abiding gaps appear where insight and wisdom dawns. Through the deepening of this practice Mahamudra can be accomplished, which is the ultimate realization of mind's true nature. Drupon Trinley is truly a great meditation and retreat master who has truly accomplished these practices. Drupon will give pith meditation instructions which will be followed by short meditation sessions. In the beginning it is far better to engage in short sessions where the mind is fresh, then long sessions where it can be easy to fall in to dullness or space out. These short sessions will be followed by practitioners being able to ask questions about their meditation and Drupon will clarify the essential points based on the needs of the students. Then we will then engage in further short meditation sessions, followed my further clarification and instruction. The whole point of this retreat is for students to get a real taste of meditation so when they leave the retreat they will have something that they can actually practice and incorporate into their daily lives. Too often practitioners leave retreats with practices that they never do or that they do not have the foundation necessary to successfully accomplish. The goal here is really to give practitioners something tangible, that will truly bring about a peaceful mind. This meditation retreat is meant for beginners as well as more accomplished practitioners. It is not necessary to be a Tibetan Buddhist to attend these teachings. In fact, it is not even necessary to be a Buddhist to attend these teachings and find benefit. Anyone with a wish to learn meditation should feel most welcome. 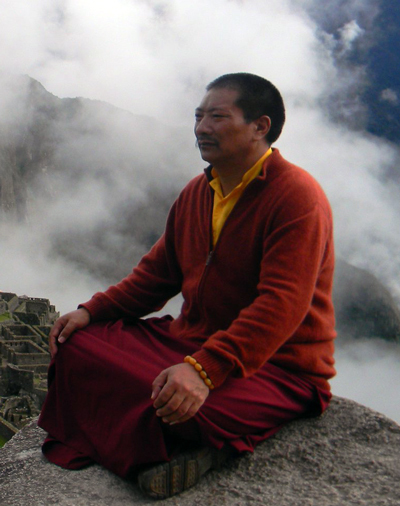 For practitioners of higher capacity or more experienced meditators, the retreat will include teachings on Mahamudra. Even for those new these teachings will be beneficial and a great blessing for meditation practice. So no matter what level is your practice, these teachings will be of great benefit. In these degenerate times, it is so easy to spin out into negativity and lose our inner peace. But through meditation, even the most difficult circumstances can be made workable. Drupon will also teach different breathing techniques as well as body postures and exercises that help facilitate the practice of Calm Abiding and Mahamudra. There will be opportunities for personal interviews as well to help practitioners fine tune their practice and be free of doubts on how to practice once they have left the retreat. And again, Drupon has truly accomplished these practices, and is the perfect teacher to impart these teachings. For anyone with a wish to meditate and realize inner peace, this retreat will be a great blessing, and a gateway to happiness and wellbeing, and if practiced, will give one the foundation to truly be of benefit to oneself and others. Suggested Donation for Complete Retreat (July 20-23, 2018) is $180. If you feel a connection to these teachings please come! We will help you make it work. The greatest offering one can make is the actual practice of Dharma; it is not a commodity for sale. Donations are needed to make events happen; however, even if you do not have a penny but have a sincere wish to practice, that is what is most key. We have inexpensive community housing and rides to the retreat for those flying or coming by bus or train to Burlington, VT.
For those attending the complete Retreat (July 20-23), the suggested donation is $180. To register, please email ddcv@gmavt.net or call 802-453-3431.
that is very much appreciated, but it is also ok to register at the door the day of the event. All teachings July 20-23 will take place at 52 East River Rd., Lincoln, VT 05443. Inexpensive community housing available for $20-25 per night. Contact us at ddcv@gmavt.net or call 802-453-3431. This probably will be only for those who can attend and not webcasted right? Miroku, I'm not 100% sure, as I've not heard yea or nay from the organizer, but in general Drupön Rinpoche doesn't do webcasts. And as far as Yangzab Varahi goes, he's actually asked at least one other DDC not to record his teachings related to the Yangzab Six Yogas. If any of you have any sense of connection to Tröma Nagmo as she exists in the Drikung lineage, i would encourage you to come and receive this wang. Based on my research over the last 2+ years, it is given rarely (once every few years at best). And now that Lamchen Gyalpo Rinpoche has dissolved his body mandala into the Dharmakaya, it seems like currently only Drupön-la is giving it in the U.S.
Of course, Garchen Rinpoche could give the wang at any time since he gave the initiation to Drupön, but it seems like he's giving mostly other wangs these days and I'm sure his schedule is booked far in advance (i actually tired sponsoring him to give this at one point, not just Gyalpo Rinpoche, but to no avail). Surely there would be a webcast if Garchen Rinpoche offered the empowerment. I also think it won't be. I wrote them whther they would at least stream the Achi Dharma Tara as I am the most interested in her practice, but I doubt that. Well, I will have to wait and create merit. I've asked about webcast as well, so I'll let ya know as soon as i find out. I do have an update for you, Miroku. While the empowerments and transmissions weren't webcast today, the organizer of DDCV told us that if we remind him he'll upload the many Yangzab Vajravarahi and Achi Chökyi Drölma teachings that they've received over the years. Additionally, on Ustream or YouTube you should be able to find Achi amongst the 12 empowerments given by Garchen Rinpoche at Gar Drölma. While it's not uncontroversial, Rinpoche said that one can receive wang even thru those recordings. Sorry that wasn't the answer you were looking for, but i hope this helps. Oh that would be great! I did receive an empowerment on Achi from Garchen Rinpoche few months ago when he was giving it and I also have a lung for that practice from my lama, so it is not necessary. I really like Achi and would love to know more about her and her practices. Thank you a lot Palzang!